I know there are quite a number of inquiries and people wondering what the best book is for learn about ways to get invited to more surveys and qualify better in order to increase earnings from taking surveys with higher payouts. Is Survey Scout a scam and if they are legit or not. So after my research and personal experience with Survey Scout here is my updated user review. When I had first used them a few years back, they were offering way more surveys to take. As of late, the number of surveys I’m qualifying for has dwindled. But this does not mean it will happen to you. It depends on your personal traits, interests, and how many invites you’re responding to, etc. You are being pre-screened when a new survey comes out and a lot of times your characteristics may not match up to who they are targeting in that particular survey. When you sign-up, they have you answer a bunch of questions relating to your personal information, interests. etc. and using this, they will then send you surveys only if you fit into the demographic they’re seeking. I will openly say that I am not a big fan of spending time on surveys because I don’t find it as worthwhile as other things you could be doing online, which actually properly compensate you for your time. 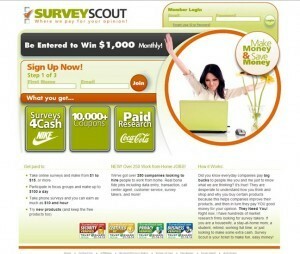 In this review of mine of Survey Scout I will not call it a “scam”. You do get a lot for what you pay for and there is a 60-day-money-back guarantee, so if you are not happy with your experience you can get a full refund. Don’t worry, I would not risk my readers’ money so you can feel comfortable when trying them out. With Survey Scout you are paying a one-time fee for the convenience of having surveys from all sorts of companies delivered to your inbox. You can login to Survey Scout or just wait for their email alerts. 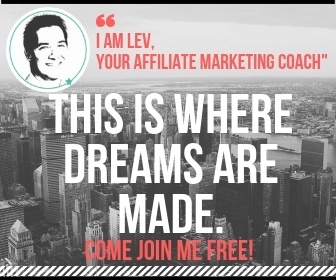 I want to make clear that there are no guarantees as to how many surveys you’ll be invited to or that you will make a certain amount of money in a certain amount of time. You see the point I’m trying to make is that everyone will have a different experience because who you are and your opinions may be in more demand than mine are or someone else’s for that matter. It’s a pretty good way to get involved in survey taking without wasting your time having to research and look for legit companies one by one, that will actually pay. If you are sick of signing up for multiple bogus sites separately or wasting time accruing points just to find out that they don’t pay then you’re best is to try Survey Scout. So basically here you are going to be paying for the convenience of having surveys delivered to you from multiple companies from one site as they become available. I also recommend checking out Take Surveys for Cash below (formerly Get Cash For Surveys). So if you were planning on purchasing Survey Scout I can recommend it to you as long as you understand that you will not be taking tons of surveys everyday and in all likelihood won’t be making enough to quit your job. The only thing I find misleading with them is that they are over-embellishing your earnings potential. I will not give the designation of it being a “scam” because it does not deserve that. But I will go as far as to say that the amount that they’re claiming you’ll make in their advertising is out of reach for most. The value is in the eye of the beholder with regards to time spent vs. the reward gained. Some of the companies they sign-you up with don’t offer cash, but points that go towards gift cards and entries into sweepstakes, etc. Keep that in mind as well, I don’t want you to be surprised when you’re not making the kind of money you were hoping for. It seems as though the quality of companies being promoted are of decent quality and are just as reputable as they were when Survey Scout first started out. Maybe even more so. Hopefully, they will imrove as they enroll more participants and the current negative feedback gets them to increase they’re survey offerings across the boards. Survey Scout is worth a shot however, remember that in order to make a decent amount from surveys you have to sign up to pretty much all of the legit survey sites out there. A List of Free to Join Legitimate Online Survey Companies – That Pay Cash! I can stand behind and vouch for all of these. They’re all different in what they offer, but they’re a good value if you are just trying to kill time online when it comes to redeeming points, cash payouts. etc. Now again these are all companies that have actually paid me in some form or another. So you can rest assured when you sign –up, plus their free. Another thing you should remember is that any survey company should be absolutely free when joining. You should never have to pay a dime. They should be paying you, period. In fact, that is one of the tell tale signs that the company is a scam and is using dishonest practices. Are Surveys Really Worth It? *Also if you have used any of the companies mentioned here, I’d love to hear how your experience was, so please be sure to use the comment area below. This will help everyone tremendously. Thanks for sharing.